Check this 30 second TV commercial for Gold Coast Film Fantastic - here are a few comments on aspects of this commercial that make it effective. Nice flowing animation with a good transition to real images like film. The sound track works well to maintain the sense of action and fast pace. The effects make a sense of excitement and anticipation. I like the way the commercial tends to pan and move with the action. Camera angels pans and smooth movement are often a noticeable difference between amatuer and professional footage and editing. When both your visual and auditory centres are activated you are more likely to remember the message and hence act upon it. Prices for explainer videos or advertisements vary from company to company. Companies just starting out or new to the industry are likely to charge less. Quality video equipment, cameras, lighting, audio and editing software require an ongoing investment from the video team. It is a process that usually requires the co-operation and attention to detail of a number of people from both your team and the video team. Budgets and time constraints are an important factor - make sure you do not get caught with half your budget spent, no finished product and no way of speeding up the process. Tip: Check existing examples of videos for companies in similar circumstances to you and if possible see if finish the projects within the quoted price. 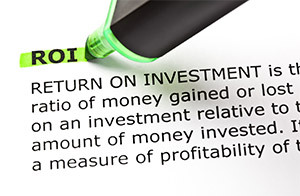 Return on investment is a simple equation - did the amount you spend including your time return more than that to your bottom line.